For sipping or gifting, Kate Aspen's Personalized 9 oz. 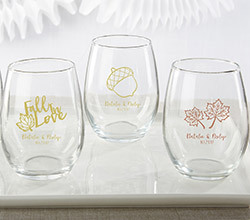 Stemless Wine Glass is just what you need to make your theme really pop! 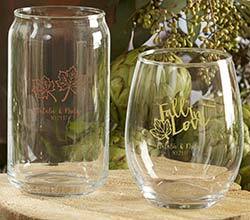 In three fall-tastic themes of leaf, acorn, or Fall in Love, each glass is personalized with your names and event date, making them ideal for commemorating fall weddings and other special events. 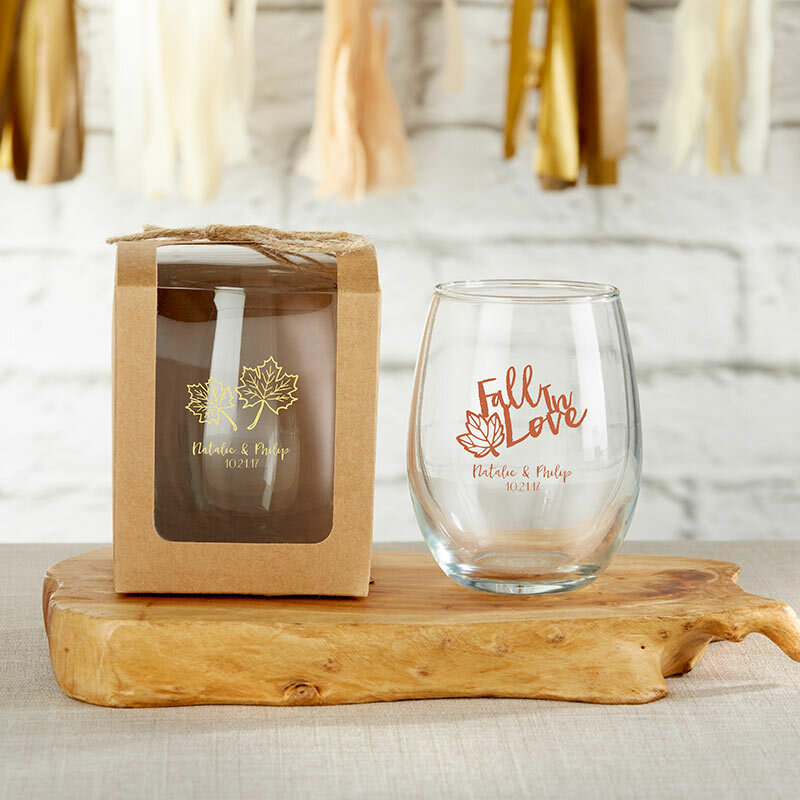 This personalized fall-themed stemless wine glass holds a full 9 oz. 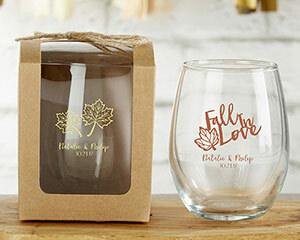 of any favorite beverage!